Spring Tournament Teams: Register now to tryout for Spring tournament teams at the Squirt, PeeWee and Bantam levels; deadline to register for tryouts: Feb. 8. 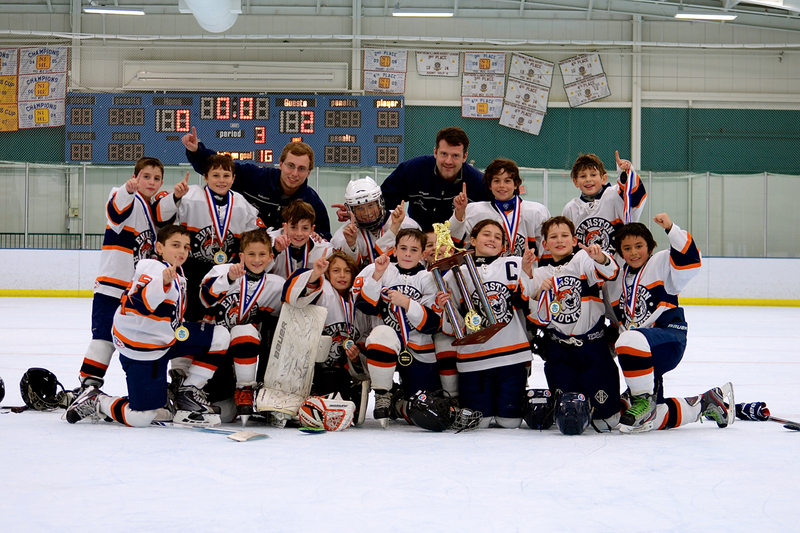 The 2016 spring tournament teams are designed for players planning to play travel hockey for the 2016-17 fall season. Players will try out for a team, which will participate in two Chicagoland tournaments (scheduled for April 22-24 and May 10-15). Practices will take place once a week and will increase to two- to three-times in the week leading up to each tournament; preliminary practice schedule can be found here. Tryouts will take place in late February or early March. Exact dates and times to be communicated in the coming weeks. Traditional Spring Program: The traditional Spring program includes an eight-game schedule and weekly practices; preliminary practice schedule can be found here. Players who try out and make the tournament team can also sign up to play for the traditional Spring program. Registration for traditional Spring and for the Spring ETHS boys and girls teams will open in March. USA Hockey: Your player needs a USA Hockey number for the 2015-16 season; using an old number will not enable us to assign the player to a roster. USA Hockey registration is now open and you can obtain a number for the 2015-16 season immediately.